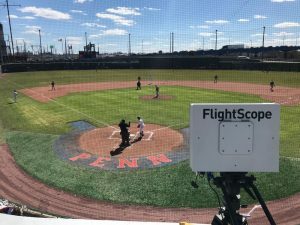 Now, as the first Ivy League squad armed with FlightScope Strike, a portable tracking radar system, the Quakers are beginning to gather more data than ever before. The machine has so far been utilized to track the hitters and pitchers in offseason practices, and it’s just starting to be used in games as well. Strike and FlightScope are trademarks of FlightScope (Pty) Ltd., registered in the U.S. and other countries.